VIPAccessEXCLUSIVE: Jessica Morris Talks About Her New Movie “A Christmas Cruise” Setting Sail And Premiering On 12/16 In Her Interview With Alexisjoyvipaccess! The holidays are filled with joy and cheer and now, it’s time to set sail on one exciting Christmas adventure! In ION’s magnificent, new movie, A Christmas Cruise, an aspiring novelist named Pam ends up finding the love of her life while on board a cruise. The extraordinary movie, which stars Jessica Morris, Vivica A. Fox and Kristoff St. John, is absolutely magical and is certainly a must-see. Jessica Morris did such an awe-inspiring and sensational job in the movie and you’re definitely going to want to watch it over and over again after its premiere on December 16th. The wonderful Jessica Morris is truly one of the most incredibly talented and prolific actresses in the industry. We all know her for her marvelous work and her fan-favorite role as Jennifer Rappaport in the highly-acclaimed, hit series, One Life to Live. The lovely Jessica Morris showcases her talent in every project that she works on so effortlessly and she truly dazzles on our TV screens. 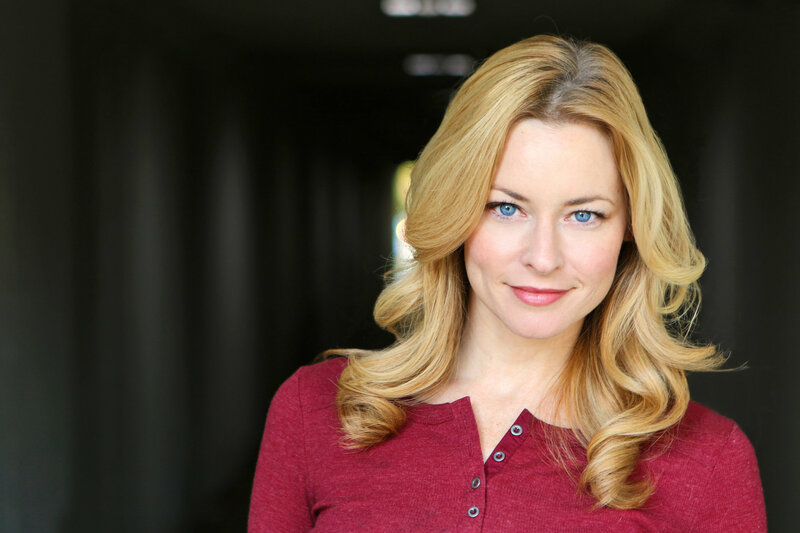 In addition, Jessica Morris has also worked on other projects including the movie, Role Models, Amazon’s award-winning series, The Bay, the web-series, Beacon Hill, as well as other Lifetime movies such as The Wrong Roommate and The Wrong Student. The excitement doesn’t stop for the hard-working and fabulous, Jessica Morris. Aside from her ION movie, she has another Lifetime film titled, The Wrong Man premiering on December 29th. It’s clear to see that the spectacular Jessica Morris is ending off 2017 in such a terrific way with so many exceptional projects we can’t wait to tune in for and we know that 2018 will continue to have even more outstanding successes for her. Jessica Morris’ beauty always stands out and her talent is truly unrivaled. We know that the phenomenal Jessica Morris has a lot more in store to share with all of her fans and she will definitely continue to leave us mesmerized with everything that she works on. I, Alexisjoyvipaccess had an excellent time interviewing the radiant Jessica Morris and she dished exclusively to Alexisjoyvipaccess all about what it was like for her working on A Christmas Cruise, what are some of her holiday traditions, and so much more only in our VIPAccessEXCLUSIVE interview. Read our VIPAccessEXCLUSIVE interview below and be sure to catch Jessica Morris in A Christmas Cruise premiering December 16th on ION! Alexisjoyvipaccess: You star in the ION movie, A Christmas Cruise. Can you tell us a little bit more about your character in the movie and what the atmosphere was like working on set of the film? Jessica Morris: I play Becky, the best friend to Pam (Vivica Fox). Becky is a newly divorced woman who is out to have a good time and pushes Pam to do the same. She genuinely wants her friend to find love and be happy. The atmosphere on set was so lighthearted and fun. We got to sing and laugh and just have a really good time. Alexisjoyvipaccess: What are some of your holiday traditions? Jessica Morris: I don’t really have a ton of traditions anymore. Growing up, I hung out with all of my family. My grandmother, Mama Joy, would play songs on her piano, and my cousins and I would sing (completely off key), but Mama Joy never complained about it, and I would make Christmas cookies with my mom. I still try to do this one because they are delicious. Alexisjoyvipaccess: You have another upcoming movie on Lifetime titled, The Wrong Man, premiering on December 29th. If you could describe what it was like working on the movie using just one word, what word would that be? Alexisjoyvipaccess: We also loved watching you in One Life to Live. Do you have a favorite episode from working on the show? Jessica Morris: I always loved the switching places episode where everyone played a different character. Alexisjoyvipaccess: You also star in the mini-series, Ladies of the Lake, which got picked up for a season two. What would you like to see happen in future episodes of the show? Jessica Morris: I hope that my character, Crystal finds true strength and happiness, that she doesn’t feel that she has to rely on men for their money or protection. I want her to find her own passion and make her own success. Alexisjoyvipaccess: What is your favorite character that you have portrayed thus far? Jessica Morris: My favorite character that I have played is Lori in a film called The 6th Degree. It hasn’t been distributed yet. I can’t wait for everyone to see it. I play a very surprising and complex character. Alexisjoyvipaccess: Lastly, if you could bring out one message to all of your fans, what message would that be? Jessica Morris: Thanks for watching and supporting all of my projects. There are days as an actor that can be very challenging and discouraging and sometimes when I get a kind word on social media from a fan, it gives me that boost of encouragement to keep going. It means more than you know. Previous VIPAccessEXCLUSIVE: The Gladys Tamez And Xinú Perfumes Collab Is The Greatest Hat Collection Out!